I love tinkering. I love the process of having a rough idea in my mind of something I want accomplished, a pile of parts and some ambition and then setting about trying to make it all come together into some kind of functioning something-or-other. Sometimes it’s frustrating, sometimes downright angering, but I generally enjoy that process. I would say that our profession is, in general, full of tinkerers. Whether it be Chief Hugh Halligan and some pieces of metal that eventually took the form of the tool that bears his name today, or Commissioner Robert Quinn looking at Chicago city work crews utilizing a cherry-picker and asking the fire department shops to figure out a way to run hoses up to the bucket, thus creating the first snorkel. Or the shop at the back of Rescue 2’s quarters in Brooklyn which is affectionately known as “Jackass Fabrications” for all the tinkerers in that house. This job leads us to look at things and wonder, “Huh? Can we make that better / more usable / easier / lighter / tougher / etc. etc. ?” Don’t believe me? Just look through the back of any trade magazine for all the “thingys” for sale that one of us has developed. Take a look around your job. Is there anything you can tinker with? Now, to be clear, I’m not talking in a metaphorical sense here about shaking up the organization or anything like that. I’m talking about little things that probably won’t take committees and months of discussion to implement. Are balance points painted on your ground ladders? That’s an easy one. You probably don’t even need to run that one very high up the chain. A couple cheap foam paint brushes, a pint or two of paint and some tape and presto! Balance points. Do you carry pressurized water cans or pump-cans on your rigs? Do you have a way to carry them or you lugging them around by the handles all the time? Some spare backboard straps can sometimes be used to make a cheap sling from something that might already be laying around the station. Take a look at your particular cans, could that idea work for you? Tinker around. Never know what you might come up with. 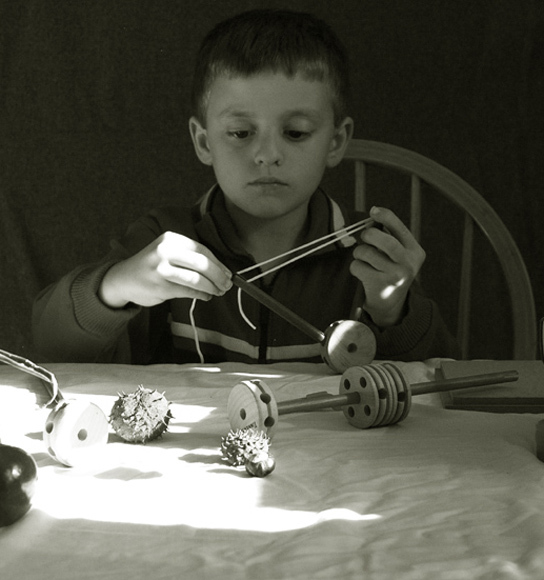 Tinkering can be the seed that gets other things going, too. It’s funny how one little idea so often leads to other off-shoots and side-paths and before you know it you are on to a totally different thing than you began working on. But that’s ok. If there is a need in your department who cares how you got to fulfilling that need. I remember doing some routine maintenance on a tool once at a department I worked for early on in my career. A coworker came up to see what I was doing and we began chatting while I was working. He then went over to the rig that the tool had come from and looked at the mounting system that we were using to keep our tools in. A couple months and a proposal later and we were mounting the new keeper systems that the department had purchased to replace the older somewhat antiquated ones we were using. All because I had decided to get a tool out and tinker around with it. Maybe you won’t have the same thing happen the next time you play around with something but you don’t have to. Maybe you’ll just find something that improves your personal operational readiness or ability a little bit. That’s ok too. Because then maybe a coworker will see that and ask you about it and there will be a ripple effect. You never know. Of course not everything you try is going to work, or even be a good idea. A while back I had presented an idea for changing hose loads. We tested them, ran them through their paces, let the different shifts play with them, and in the end it was decided not to go with them. I was disappointed but I also saw the limitations and problems that arose during the testing period, so why force something that wasn’t going to work the way it was intended. 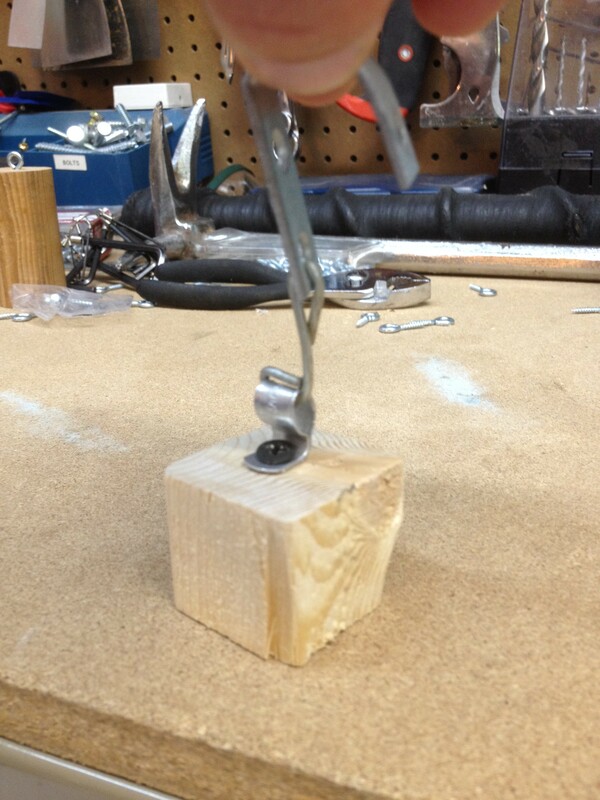 On the other hand, while I was preparing the last post on my hinge hooks I came across one of the original prototypes that I had tinkered around with in the shop. It was the basic shape of the modern incarnation. Had the same function. But boy was it ugly, crude. I was tinkering! I had an idea, some pieces and parts and I put something together that worked and then I went back and refined it to what they are now. Which I think are pretty effective. So in that particular instance it was a success. Take a critical look at something. Wonder how you could make it better. Wonder how it could work better for you or your company or your department. Then try it out. If it doesn’t work? Oh well! Make adjustments and try something else. I don’t know who said it but someone said that, “It’s better to fail spectacularly than succeed with mediocrity.” Give it a shot. Tinker around. Watch this short TED video below for some inspiration. This entry was posted in Professional.